The tracks you can listen to here all deal with the topic of Polyamory. Only streams are available here (rather than downloads) for copyright reasons. 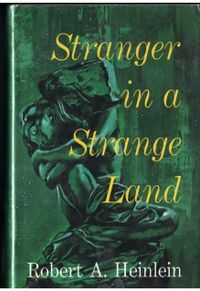 Robert Heinlein's "Stranger in a Strange Land" describes a fictitious poly community calling itself the Church of All Worlds which became semi-reality, inspiring the naming of the first legally recognised pagan religion in USA and Australia. and physically in this Australian community.